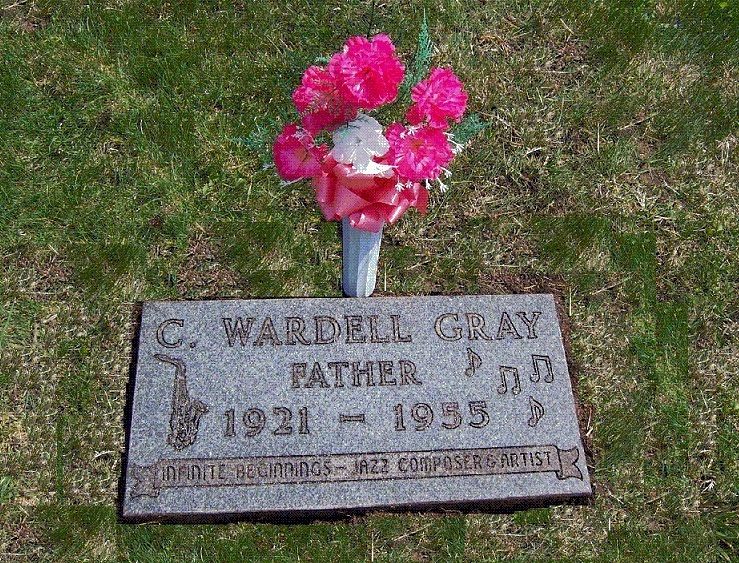 Carl Wardell Gray was born on February 13, 1921 in Oklahoma City, the youngest of four children, to Eugene, from Georgia, and Carrie Gray (nee Maddison), from Alabama. His early childhood years were spent in Oklahoma, but the family moved to Detroit, Michigan, in 1929 as part of the great black migration to the urban centers of the northern states that promised greater economic opportunities and personal freedoms. Unfortunately, the family arrived just in time for the great depression, so no doubt the family faced some hard economic times. Census records indicate that in 1930 the Gray family was lodging at the home of James Chager on 505 E. Kirby Street in Detroit. Wardell, age 9, and older brother Harry, age 11, are the only Gray children listed as living at that address. Sisters Madeline, the oldest, and Edith are not mentioned in the census records. In early 1935, Gray began attending Northeastern High School, and then transferred to the well known Cass Technical High School in downtown Detroit, which is noted for having Donald Byrd, Lucky Thompson, Howard McGhee, Gerald Wilson and Al McKibbon as alumni. 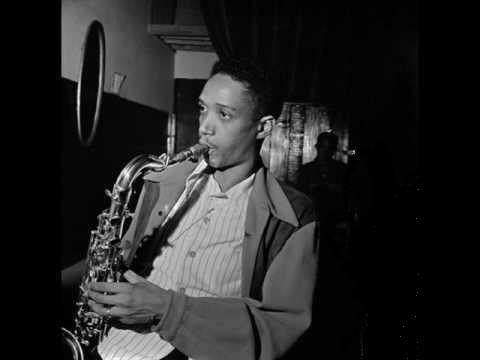 Advised by his brother-in-law Junior Warren, as a teenager he started on the clarinet, but after hearing Lester Young on record with Count Basie, he was inspired to switch to the tenor saxophone. It has also been reported that brother Harry, who played bass, encouraged his interest in music. Gray's first musical job was in Isaac Goodwin's small band, a part-time outfit that played local dances. When auditioning for another job, he was heard by Dorothy Patton, a young pianist who was forming a band at the Fraternal Club in Flint, Michigan, and she hired him. After a very happy year there, he moved to Jimmy Raschel's band. (Raschel had recorded a few sides earlier in the 1930s and is the father of Jimmy Raschel, the contemporary country western singer.) He then joined the Benny Carew band in Grand Rapids, Michigan. It was around this time that he met Jeanne Goings. They were soon married and had a daughter, Anita, who was born in January, 1941. Anita L. Gray-McClelland is still living and currently resides in Lansing, Michigan. A neighbor and friend, Patti Richards, speaks of Gray as already a wonderful musician who was fully aware of his gifts. She describes Gray as highly intelligent, good natured and friendly, and with a good but sometimes sarcastic sense of humor. He was very much aware of the barriers that his race would likely to play in his career. By then Wardell had reached the height of 6 feet 4 inches and was very thin despite having a healthy appetite. Years later trumpet great Clark Terry would jokingly refer to him as "Bones." It was around the time of the rehashing of the Hines band that Wardell joined along with Texas tenor Harold Clark. Cliff Smalls, who played trombone and second piano with the band, remembers that "Wardell Gray came in on alto at first. Scoops Carry, the strawboss, didn't like Wardell or Harold. I think he wanted to bring in some of his own buddies, and I'll never forget a rehearsal at the old Nola Studios. Scoops Carry took the numbers at tempos almost twice as fast as we usually played, and Wardell and Harold just ran through them, straight through them. 'See what you got?' John Williams (baritone saxist in the band) cried. 'I've been here all the time, and they're playing them better than I am'!" Not long after, Carry moved Gray to tenor. In 1943 I heard the great Earl Hines band which had Bird in it and all those other great musicians. They were playing all the flatted fifth chords and all the modern harmonies and substitutions, and Dizzy Gillespie runs in the trumpet section work. Two years later I read that that was "bop" and the beginning of modern jazz ... but the band never made recordings. Schuller is referring to the 18 month musicians strike (American Federation of Musicians headed by James C. Petrillo) of the record companies that left one of the greatest periods of jazz creativity largely undocumented. Although most of the early bop pioneers had left by the time Gray joined the band, playing with the Hines band was still an important career advance for the 22 year old Gray. Other notables in the Hines band were trumpeters Willie Cook, Idrees Sulieman and Benny Harris, and trombonist Bennie Green. Singing great Sarah Vaughan also was in the band at some point during Gray's stay. They toured all over the country. While in New York City in April, 1944, he first appeared on record with the Billy Eckstine orchestra, but he did not solo. How this came about is unclear, but Eskstine had previously been a vocalist with the Hines orchestra before starting his own orchestra. In September 1944 the Hines Orchestra traveled to California where Gray's earliest surviving solos were recorded in an October Armed Forces Radio Service show. This was transcribed onto a 16-inch program disk in the Jubilee series for later transmission over U.S. military stations worldwide. Wardell spent approximately three years with Hines, and matured rapidly during this time. He soon became a featured soloist, and the band's recordings show a relaxed, fluent stylist very much in the Lester Young mold. Although highly proficient on his instrument, he rarely played double-time runs favoring instead a more lyrical approach while still swinging as hard as anyone. One can think of his stay with the Hines Orchestra as like a graduate internship before one becomes an independent professional practitioner. While in California, Gray met Dorothy A. Duvall. A relationship developed, despite Dorothy being married at the time. As it turned out, Dorothy and her husband were at the point of splitting up, but due to a misunderstanding Gray was led to believe that Dorothy would be returning to her husband. So Gray returned to Jeri and they were married in Chicago on September 29, 1945. Wardell was 24 and Jeri was 20. Drawn by the musical activity on Central Avenue in Los Angeles and weary of life on the road, Gray left the Hines band in July of 1946 and resettled in California with wife Jeri. Other California-based musicians such as Dexter Gordon, Howard McGhee, Teddy Edwards, Sonny Criss and Dodo Marmarora were already playing in a bop-oriented manner, and the noted engagement of Dizzy Gillespie and Charlie Parker at Billy Berg's Swing Club in Hollywood in December of 1945 had further stimulated interest in the new directions in jazz. Parker ended up staying in Los Angeles following the Billy Berg's engagement. Gray easily adapted to this environment and was soon one of the star players. One of the early signs of recognition was the opportunity to make his first recordings under his own name. This was a quartet date, known as "One For Prez," for Sunset Records in November, 1946 in which he was backed by top players Dodo Marmarosa (piano), Red Callender (bass) and Chuck Thompson (drums). Altogether there were a couple dozen takes, including several incomplete ones, of four selections. (See the discography for the details.) They reveal a fully developed and well polished musician who had mastered the intricacies of the bop idiom while remaining well grounded in the traditions of swing. It was indeed an impressive early statement of his commanding musical powers. Central Avenue, in a predominantly black section of Los Angeles, was lined with a series of clubs including The Down Beat, Club Alabam, Jack's Basket, Lovejoy's, Memo, and The Last Word. Here live jazz could be heard nightly. A common feature of many of these performances was an informal jam session in which musicians do battle in a mainly friendly yet still competitive setting. Seeing that there was money to be made, promoters, Gene Norman in particular, began to organize these performances under the banner of "Just Jazz Concert", "Gene Norman's All Stars" or similar names, and successfully toured up and down the West Coast. These concerts did not require extensive rehearsals or imaginative arrangements. Most selections were based in well-known chord progressions, such as "I Got Rhythm", "Sweet Georgia Brown", "Perdido", or "Lady Be Good." The concerts were similar in mood and format to the Jazz at the Philharmonic (JATP) series that toured the nation (and Canada too) under the leadership of Norman Granz. The highlight of most of the concerts was a battle between two (or more) leading players, and in the case of the Gene Norman concerts it was usually Dexter Gordon and Wardell Gray. They could drive the audience to a frenzy of excitement, but they relied mainly on inventive musical ideas rather that the more base "honking and squealing" of some of the JATP concerts of the period. Wardell was a very good saxophonist who knew his instrument very well. His playing was very fluid, very clean. Although his sound wasn't overwhelming he always managed to make everything very interesting, very musical. I always enjoyed playing with him. He had a lot of drive and profusion of ideas. He was stimulating to me. The successful pairing of the two led to the recording of "The Chase" on Dial Records in June, 1947. This was released as a "battle of the tenors" affair over the two sides of a 78 rpm record and received much attention among jazz fans at the time. They both exhibited great technical prowess on their instruments, but were stylistically quite different with Gray's lighter touch complementing Gordon's more forceful attack. But perhaps Gray's most significant recording session of his west coast period was his first and only studio encounter with the great Charlie Parker. Parker had recently been released from Camarillo State Hospital following a serious breakdown six months earlier. Parker was now fresh and rejuvenated. The session produced four classic titles, including "Relaxin' At Camarillo", an up-tempo blues with an intriguing melody line. Other stellar performers, such as Howard McGhee (trumpet), Dodo Marmarosa (piano) and Barney Kessel (guitar), were on hand as well. (See the discography for the details.) Gray's consistently fine solos were yet another affirmation that he had indeed reached the top level of jazz artists of the period. Parker was not yet at the peak of his powers, but in coming months he would return to New York City and form his definitive quintet that would produce performances that are unsurpassed in the history of jazz. During the late 1940s, the musical activity along Central Avenue began to decline, in part due to the reduction of local military personnel following World War II. Fewer and shorter gigs made it more difficult for musicians to remain continually employed. At the same time, many big bands were pared down to smaller units or were disbanded altogether. Morover, the American Federation of Musicians stuck the record companies for most of 1948. The result was that there were simply fewer opportunities for musicians to earn a living. As for Gray, he certainly could have formed his own quartet or quintet and gigs along the west coast. But at that time he didn't seem to have the temperament to be a leader, including the hiring and firing of personnel, dealing with managers, booking agents, club owners, record companies and the overall business tasks that are required to be a successful leader. He was more comfortable being a feature sideman and leaving the business tasks to others. And there was the occasional opportunity to be leader of a studio recording session where he could select his own material and showcase his talents. The Benny Goodman orchestra, along with many others, fell onto hard times in the late 1940s as public tastes and the economics of the business were changing. Under the economic pressures of the day, Goodman decided to give up his full orchestras in favor of a smaller unit, update his book (repertoire) and arrangements, and revise his personal playing style. Goodman had first seen Gray perform in California in 1947 when they were on the same bill and immediately liked what he heard. Here was a young yet fully developed musician who had grown up in the swing era but at the same time was fully versed in the complexities of bop. Goodman's often quoted comment about Gray and bop sums up his opinion: "If Wardell Gray plays bop, it's great. Because he's wonderful." A year later when Goodman had decided to form a smaller group for an upcoming engagement at the Click Restaurant in Philadelphia, he hired Gray to help modernize the group's sound. This group also featured the young Swedish clarinetist, �ke �Stan� Hasselg�rd, who was Goodman's prot�g�e, his old associate Teddy Wilson, and introduced more bop-oriented arrangements by Shorty Rogers, Eddie Sauter, Mary Lou Williams and Mel Powell. There was certainly much to be gained for Gray to be associated with such a major figure as Goodman, and Gray was in excellent form throughout this period. In a letter to his sister, Hasselg�rd described Gray as "the very best tenor player in the United States today." But on a personal level, one can surmise that Gray found the group rather restrictive. Goodman was well known as a strict disciplinarian who wanted things done his way. He could also exercise his authority in an intimidating manner, which did not sit well with Gray. In the fall of 1948 Goodman formed a new full orchestra with modern arrangements from Chico O'Farrill, which included Gray and several other bop-oriented players. But the band didn't catch on with Goodman's public who still wanted "Sing Sing Sing", "Big John Special" and all the swing favorites of the previous decade. Goodman had had enough and abruptly abandoned modern jazz in favor of what he and his followers understood and loved. Nevertheless, much excellent music and individual performances were produced during the one and a half year period in which Gray was with Goodman. It would be inaccurate and unfair to characterize Goodman's "flirtation" with bop as a failure. Fortunately, many of these performances were recorded and are available today. While Gray was with Goodman, he still had opportunities to participate in his own recording sessions and to appear with other groups including Tadd Dameron in New York City, and in particular Count Basie. And after leaving Goodman in late September of 1949, he was based mainly in the mid-west, especially Chicago, appearing with a variety of artists including Billie Holliday and several lesser known figures such as Claude McLin, Tony Rhodes and Phil Hill. He also gigged with several small groups under his own name. But in general one has the sense that his career did not have much direction at that time. One of his post-Goodman recording sessions produced the medium tempo blues "Twisted." A few years later (1952) vocalist Annie Ross put some very clever words to his solo and recorded a best-selling vocalesed version of "Twisted." The clarity of structure and lack of affectation of Gray's solo lent itself more readily to verse than the solos of most bop-oriented players. It's ironic that he is often best known for an adaptation of one of his works by someone else than for anything that he did himself. Count Basie was not immune to the pressures that Goodman faced and also was forced to disband his full orchestra. Instead, in August of 1950 he decided to form a smaller group and hired Clark Terry (trumpet), Buddy DeFranco (clarinet) and Gray (tenor sax) to be its front line. Along with Basie (piano), Freddie Green (guitar); Jimmy Lewis (bass); Gus Johnson (drums) completed the group. The group worked well together in a relaxed manner and was well received by the public. One important by-product of the group was a short movie, made in 1950, which provides a interesting video of Gray in performance. He is seen gently swaying side to side to the rhythm of the music until it is his turn to solo, although this may be the result of theatrical direction. It wasn't long after this that Basie formed a new full orchestra that held over several of the members of his smaller group including Terry and Gray. Gray soon established himself as the leading solo reed player on tenor, thus assuming the role as one of Lester Young's successors with the Basie orchestra. He can be heard to advantage on "Little Pony" and "Every Tub" where he is prominently featured. On a personal level Gray was undoubtedly more comfortable with Basie than Goodman, and the musical setting also was more to his liking. But his marriage to Jeri had ended and he soon married Dorothy A. Duvall who he had met several years earlier in California. The wedding tool place in Los Angeles on January 10, 1951 with Clark Terry and Freddie Green serving as witnesses. Gray continued to be with Basie, but life on the road began to wear on him. This was no way to start a new marriage. The couple wanted to be together and so with some regrets he left Basie in September of 1951 and resettled in Los Angeles with the hopes of being able to concentrate his musical activities on the west coast. Included in the family unit was Dorothy's daughter, Paula Duvall, from her first marriage. Many years later, Paula has written that "now that I am old enough to appreciate his artistry, I can appreciate his phenomenal talent. He was a voracious reader of EVERYTHING from philosophy, Eastern spiritual thought, to mysteries�everything! And, he was an OUTRAGEOUS chef." By the time Gray resettled in California in late 1951, the jazz activity along Central Avenue in Los Angeles had largely dried up and the "bop craze" was also pass�. Hollywood studio work would have been a natural direction for him to take given his excellent musical skills and flexibility, but there is no record of any such opportunities coming his way. Instead, he was first with the Benny Carter Orchestra for nearly a month at the Tiffany Club in Los Angeles followed by a string of gigs and concerts with different groups in the Los Angeles area, but he had no permanent musical home. Wardell was one of the nicest people I ever have known and he was like a big brother to me. He never hesitated to tell me what he felt I needed to know. I can't think of anything about this man as a man or as a musician to find fault with. It's just too bad that he didn't live long enough for the rest of the world to hear him. The return to California also brought the opportunity to participate in a number of studio recording sessions, including several under his own name. He also recorded on dates led by Teddy Charles, Norman Granz, Louie Bellson, Frank Morgan and others. But by 1954 work in California was not sufficiently steady, so he needed to go back on the road to earn a living. This included gigs in Seattle, Detroit, Chicago, New York City, Baltimore, Cleveland, Boston and Toronto. Wardell and I worked many, many gigs together. (We) spent a lot of time together when we weren't working because we traded authors. I guess people don't consider there are jazz musicians who are well-read and read for pleasure. And I was going to university at the same time, pursuing an English major. Wardell was very interested in what I was doing at college. We compared notes on novelists, movies, staged performances. (We) went out of our way to watch Omnibus every Sunday. ... Often when it was just the two of us and the rhythm section, we would sometimes exchange instruments. Wardell was one of the finest baritone saxophone players I have ever heard in my life. If I had to think of any influence by a baritone saxophone, I would have to say Wardell Gray. The film documentary The Forgotten Tenor (1994) by Abraham Ravett includes readings by widow Dorothy Duvall Gray of several poignant letters that she received from Gray during this period. The letters are full of references to his love for her, loneliness, alienation, and the drudgery of the road. In one letter he says that "if I thought I could make any kind of steady money in L.A. I'd come home tomorrow just to be with you, even arguing is better than this." On the other hand, his last recording session under his own name in January of 1955 was a somewhat lackluster effort. In fact, the excellent Properbox four CD box set entitled "The Wardell Gray Story" does not include any selections after 1952. The death of Wardell Gray has always been under a cloud and the subject of much speculation, even inspiring the mystery novel Death of a Tenorman by Bill Moody. What is known is that Gray was hired to appear with the Benny Carter Orchestra in Las Vegas for the opening of the Moulin Rouge, the city's first integrated casino. He indeed did play with the band, but on May 25, 1955 he did not show up for the last two of three daily performances. On the afternoon of the next day, his body was discovered alongside a highway several miles outside of the city. It was determined that he had died elsewhere and his body dumped there. An autopsy was performed by Dr. Byron P. Howells and the death certificate states that Gray suffered a "fracture of the 5th and 6th cervical vertebrae with resultant injury to the spiral cord." It also mentions "contusion of the brain due to blow on head" and to the question "How Did Injury Occur" it stated "Fall on cement floor." He was buried at Detroit Memorial Park Cemetery, Warren Michigan, Section A, Lot 206, Grave 2. Close friends and musical associates, including Pepper Adams, served as pallbearers. Headstone design by daughter Anita L. Gray-McClelland in 1992. Photo taken by Stuart A. Varden on May 8, 2014. Some graphical editing has been done to enhance picture quality. Prepared by Stuart A. Varden, Ed.D.